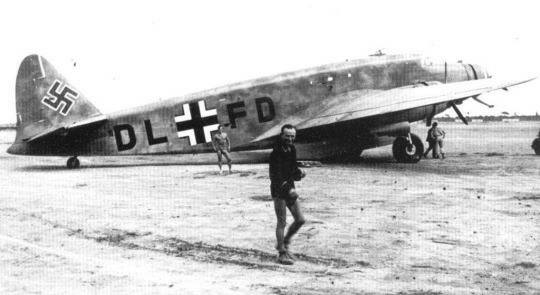 Some Italian aircraft pressed into Luftwaffe service. Can you identify the types? Thanks for the post, Scott. 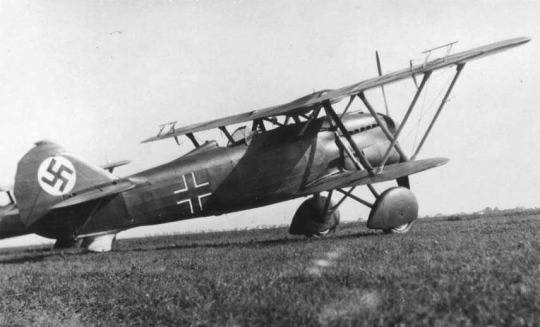 I’ve never seen the photo of the C.200 in German markings before (Photo #9). 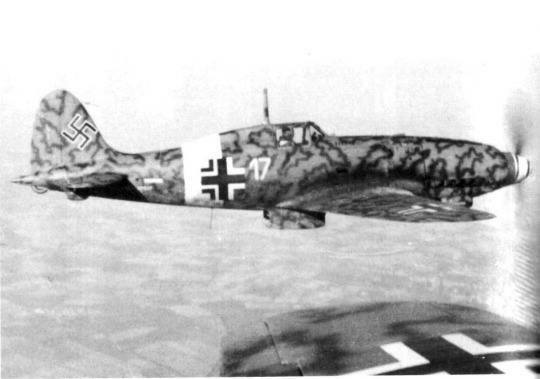 The reason so many Italian planes wound up in German markings is pretty simple. When the Italians unexpectedly surrendered on September 8, 1943, the Allies thought it was a trap. They moved very cautiously. The Germans, on the other hand, had been expecting a surrender and rapidly occupied half the country (Operation Axis). They seized anything of military importance. 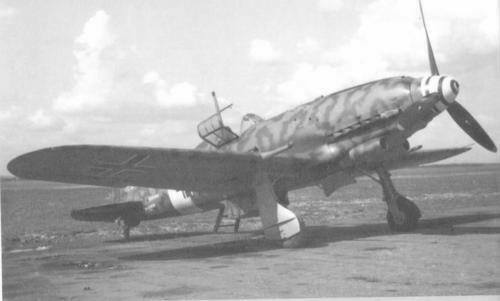 If it had wings, it immediately got German markings. 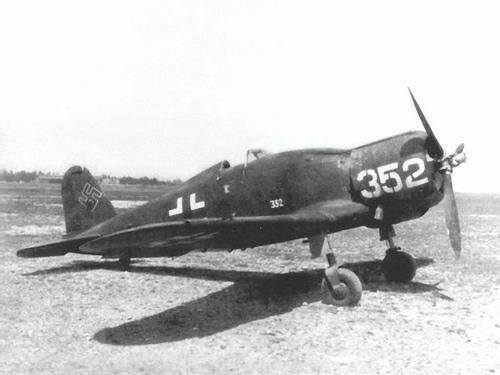 In the end, the Germans were primarily interested in the Macchi C.205 and Fiat G.55 fighters, as well as any and all transport aircraft. 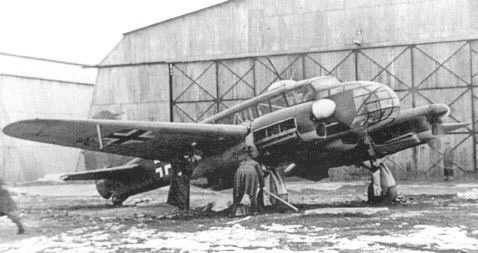 JG 77 operated new-manufacture Macchi C.205s (Series III with wing cannons) from September 22 to December 31, 1943. 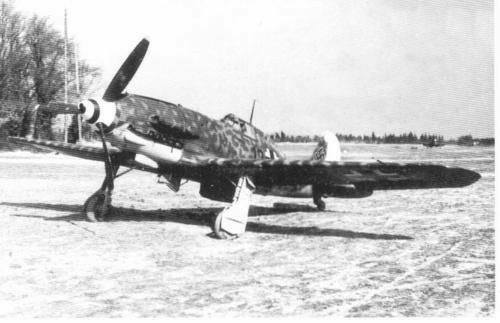 After the Aeronautica Nazionale Repubblicana was formed upon Mussolini’s rescue by the Germans, the C.205s and G.55s were returned to form the new Italian ANR squadrons that flew defensive missions against allied bombers. They all wore new markings. Regia Aeronautica aircraft had three faces (ancient Roman symbol of authority: a bundle of rods and an axe handle) on each wing representing God, king and country. ANR fighters only had two - God and country – because they weren’t very happy with the king for having Mussolini removed and arrested. 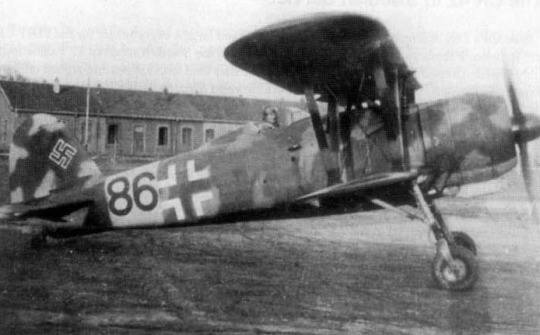 The Germans also acquired 112 new-manufacture CR.42 biplanes for night harassment and anti-partisan duties. The last combat victory ever claimed by a biplane was a German CR.42 flown by NSGr 7 against a 14th Fighter Group P-38 on February 8, 1945. 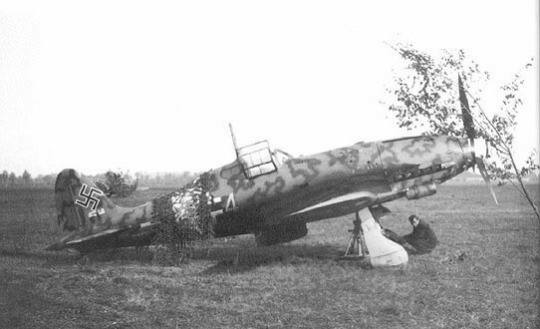 They also put the Reggiane Re.2002 back in production for the same role, acquiring approximately 100. 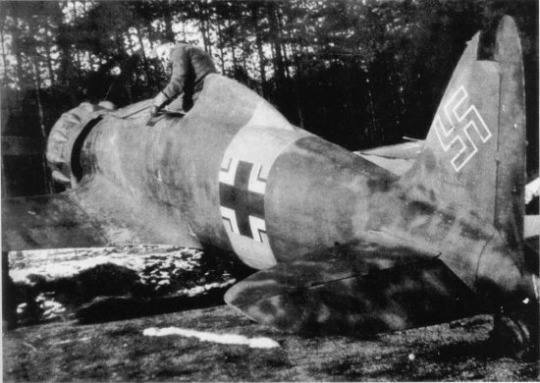 A German Reggiane Re.2002 that was shot down by partisans near Limoges, France, was displayed in the town gardens for years. It was later restored and moved inside, and is now on display in the Limoges Museum of the Resistance. Since Photobucket is playing games, here’s a link to some photos of the Reggiane. It is in its actual markings and is being lifted into the museum. Looked like quite a project to get it in the museum! 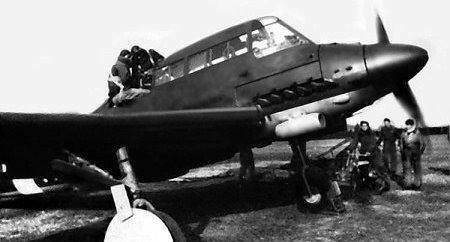 Not sure the comment"pressed into service" is correct for all as some of the photos are of prototypes that were tested under Luftwaffe control but went no further and never entered service. I can't recall who made the the weird looking one with the cockpit on top of the engine but I believe it was a dive bomber with a semi prone pilot position to assist with the dive stage. Also experimental and didn't get produced. Photos of the less mainstream planes are always fascinating. 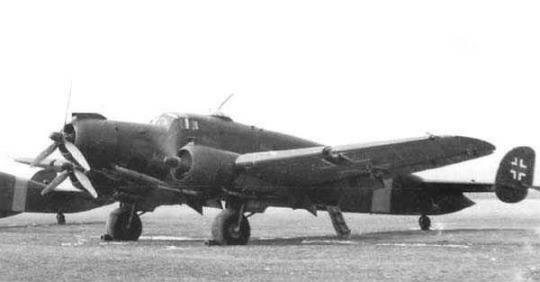 And the weird looking WRG-0032484 is the Savoia-Marchetti SM.93. I can't seem to ID the plane in WRG-0032487 as an Italian design. Anyone know what it is? Thanks. I'm going to stick my neck out a bit and post what I think are the planes shown in these images. As I noted above, one just doesn't match to any Italian military design I can find. I am in no way an expert on Italian WW2 aircraft but do have a few books in my library that I used to ID these. I'm thinking it's a Piaggio P.108T or mebbee C Randy, but we can't see the inboard engine? It does look like the tip of a inboard prop just forward of the outboard engine scoop. ...And just behind the soldiers entering the door, you can just make out the outline of the ventral gun cuppola. 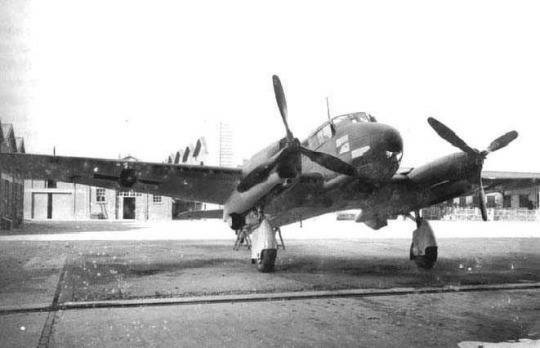 I think after looking at the P.108C, that it could very well be the aircraft in the photo. It seems the only large Italian civil transport with a dorsal fin, and I was looking mostly at military aircraft. However, on page 229 of Jonathan W. Thompson's, Italian Civil and Military Aircraft 1930-1945, there is a photo showing a dorsal fin on that model. If we are missing seeing the inboard engine and see just the tip of one of its prop blades, that seems to fit. I kept thinking it was a twin or three engine. Thanks for your help and all the best. You're welcome Randy, and best wishes backatcha! Thanks to the forum boss and editor of the Canadian online mag, Stormomagazine.com, who had scanned the page of an Italian book on the P.108's(Ali d'Italia #15, 1973, Giancarlo Garello) identifies that same photo a/c as a P.108T, code J4+JH of LTS 5 (Lufttransportstaffel 5) probably at the Eastern Front where most of the 108C's and T's served. There is a lot of conflicting info on these aircraft, but Garello and his editor were in the top of the WW2 Italian aviation history field when the book was put out. I too have a copy of Thompson's book, we've had our copy since shortly after it was published in 1963...still a great book tho a bit dated. Always the goto book for Italian a/c of that period, tho my copy was out of reach until later that evening behind a 6-drawer oak drafters desk(thanx PikStik). Generally, there were about 12ish examples of 108C's and 108T's including C's converted to T's which disagrees with Thompson's numbers...to be expected of an obscure type I guess. They can confound attempts of rule-of-thumb external ID cues in saying which is what model...i.e., rear door location, cargo door or not, extended fin fillet or lack of etc. I'll leave that to the rivet counters. Thanks for that added info. I know the book I mentioned was a bit long-toothed but tend to agree it is a T based on the profiles you show. Again, Italian WWII aircraft are not in any way a specialty of mine and I enjoyed the challenge of doing the IDs. I learned a good bit. Fly safe.